If you like going to the pool or the beach, you have reason to thank lifeguards. While you splash around, they keep you safe in the water. 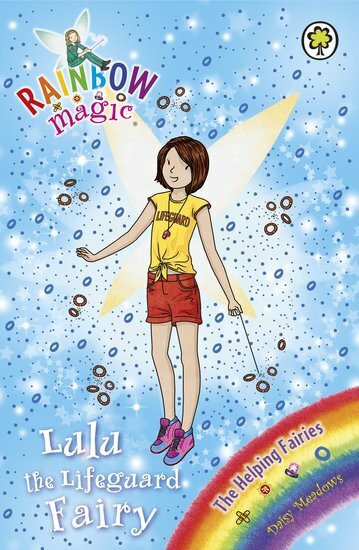 But while they watch over people, they are watched over in turn by Lulu, the lovely Lifeguard Fairy. Her job is to help lifeguards do their jobs brilliantly. Everything is great – until Jack Frost steals her magical object. All of a sudden, Lulu is in deep water. Can Rachel and Kirsty help out? adored it Lulu helps people be brave. but the goblins stole her magical float which helps people swim again.